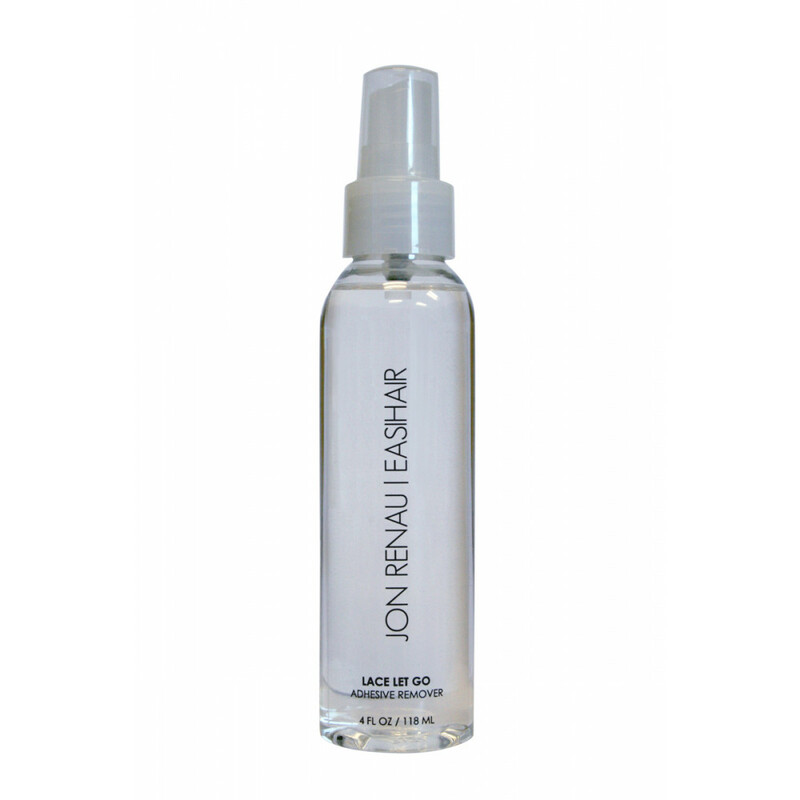 Lace Let Go Adhesive Remover by Jon Renau helps release and remove adhesive from your lace front wig and scalp. Only 2-3 pumps are necessary to help release and remove adhesive strips and should be sprayed on to cotton swabs for gentle application. Directions: Soak a cotton swab with Lace Let GO and then gently roll it between the lace and the tape. It can also be applied directly by misting 1-2 pumps onto the area you want to remove your adhesive strip, use a paper towel to catch any excess dripping. Allow spray to sit for 30-45 seconds then gently remove the adhesive strip. (Repeat if necessary.) Wipe off any excess with a lightly dampened towel.